Hi y’all! I’m obsessed with all the fun typography projects I’m seeing these days. There are a couple in my home already, this Shazam String Art and my Chalkboard Canvases. These canvases are great because I can change out the lettering with however I’m feeling that day. However, I love him anyway, kwim? He’s a mess, but he’s my mess. How could I ever exist without his big brown eyes and twirly tail that goes in circles whenever I say his name! Sooo off subject. 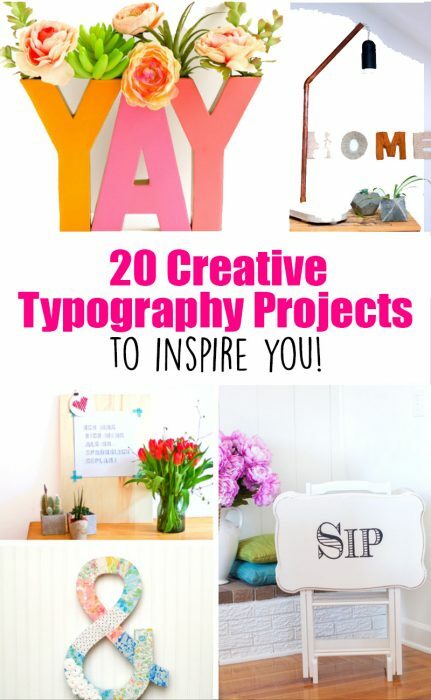 To get back to it, I love typography, and I love to share with you, so I thought you might love these typography projects, too! 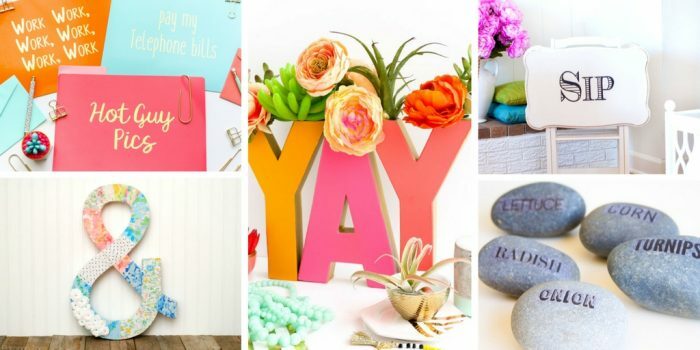 Here are 20 Creative Typography Projects to Inspire You to DIY Some for Yourself! These are so lovely aren’t they? The YAY just makes me SO happy. (So do these YAY! candles.) I love to be happy, don’t you? Being happy is my new obsession. Sad is so 2015, isn’t it? Which one is your favorite? Let me know down in the comments below! P.S. 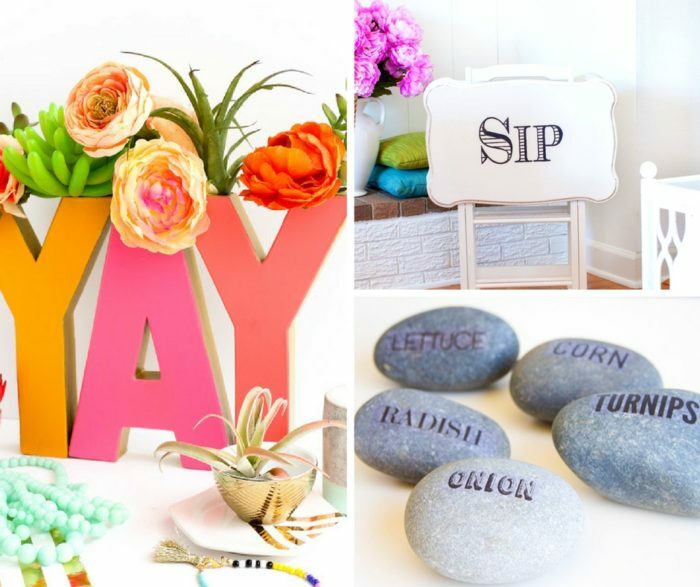 If you don’t actually want to make your typography art, that’s cool. I’m also a huge sucker for these gold mylar balloons. I have FALALA for the holidays,, and I have some hanging in my dining room right now, #XOXO.